A worker displays coffee beans during a harvest at Masalle district, in Enrekang, Indonesia South Sulawesi province, Jan. 5, 2012. A worker dries coffee beans for export to the United States in Medan, Indonesia's North Sumatra province April 25, 2013. Indonesia is projected to produce more than 12 million 60-kg bags of coffee this year, according to the International Coffee Organization, which raised its forecast for the world's No. 3 coffee producer by 13 percent on Monday. The forecast, if realized, would mean Indonesia will produce a striking 75 percent more coffee than it did last year. The coffee group didn't provide any reasons for the adjustment, but Reuters’ surveys showed that favorable weather could boost production, the Jakarta Globe reports. The increase in Indonesian production will likely offset reduced productions in some Latin American countries that have been grappling with a fungus commonly known as coffee leaf rust. “Coffee leaf rust has severely affected production in Central America, with total damage in the 2012-13 crop year estimated at around 2.7 million bags, costing some $500 million,” the International Coffee Organization said. Mexico and El Salvador are also affected by the fungus, which grows on the underside of coffee tree leaves. It shows up as dusty splotches of yellow and orange, which are spores that settle onto the leaf's surface; the fungus grows, eventually blocking the absorption of vital nutrients. The organization left its projection of global output unchanged at an increase of 7.8 percent from last year. 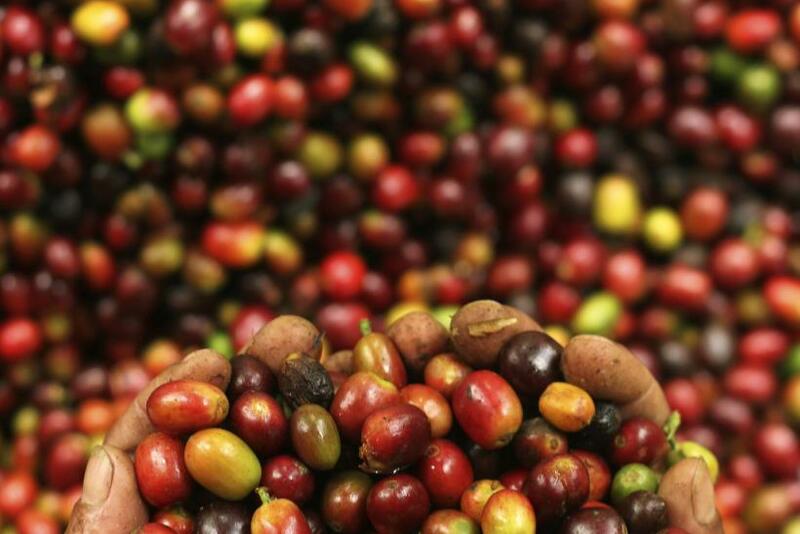 Global prices for coffee, under pressure from an abundant off-year crop in Brazil, have been low, and the Indonesia prediction will likely drag those numbers down even further. “I think the situation is disturbing," Joyce Liu, an investment analyst at Phillip Futures in Singapore, said. "If you look at the entire situation now, we can’t hope for anything on the demand side to push up prices." “We really need to see some tightening in supply, whether in the form of farmers not willing to sell, a reduction in production or some export restriction to provide a kind of support for the marke,” she added. In total, world coffee producers are expected to produce 144.6 million 60-kg bags of coffee this year. The increase is driven by larger crops in key producing countries, including Indonesia. Colombia is expected to produce 9.5 million bags, 24.1 percent more than last year and well above the 8 million forecast by the ICO in a previous report, the Jakarta Globe notes. Do Malaysia And Singapore Have Themselves To Blame For The Haze? Southeast Asia - Is The End Of The Boom Nearing?